Directions: The campsite is approximately 70 miles north on I-45. Take the I-45 north (or Hardy Toll road during rush hour). Take Exit 109 just south of Huntsville (within sight of the big Sam Houston statue). Go left under I-45 and the park is approx 1 mile ahead (west of I-45). Please check-in at the ranger station upon arrival. You are required to pay a small fee and get a windshield sticker for your vehicle. Sites have been pre-assigned by den. Ask for your assigned site at the ranger station by giving your den number. Please observe the rules on where you can park you car. All sites have water and electricity. Pack 55 is providing firewood, but you will need to transport it from a central drop area. Click for photo of campsite. 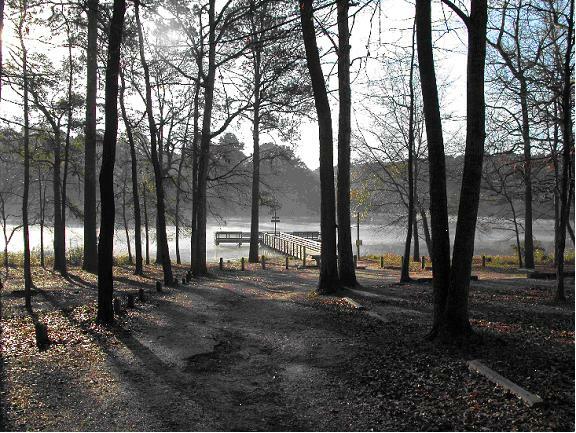 Click HERE for the Huntsville State Park website which has additional information about the park, facilities and activities.